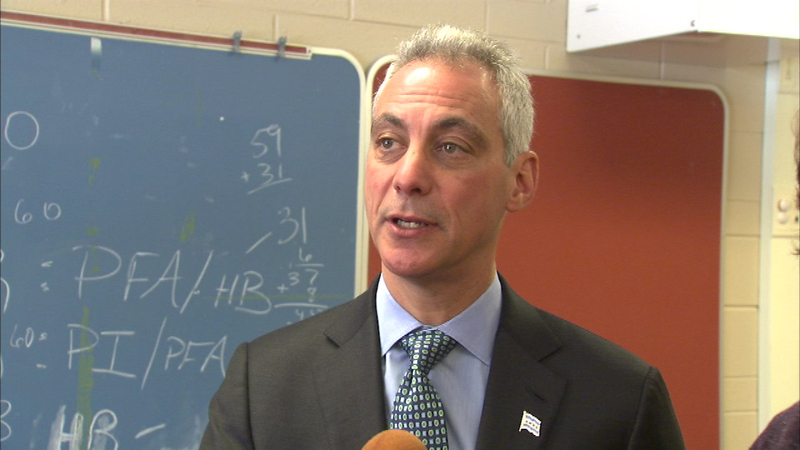 CHICAGO (WLS) -- An Illinois state representative has introduced a plan that could allow for the recall of Chicago's mayor. Democratic Rep. La Shawn Ford filed legislation Wednesday outlining a lengthy process for a city special election. The proposal would allow a recall election to be initiated by a petition with signatures totaling at least 15 percent of the total votes cast in the previous mayoral election, with at least 50 signatures from each Chicago ward. Challengers would need 12,500 signatures to get on the ballot. Currently there's no process for a recall. Both the Illinois House and Senate would have to approve a change in state law to allow for one. It would also have to be signed by the governor. There have been regular calls for Emanuel's resignation since officials released footage showing a white police officer fatally shooting a black teenager in 2014. Emanuel has more than three years left in his term.